Hi! It's been a long time since anything personal came out of CXNX and I thought I'd empty my head into these dusty pages today to recount one great experiences I had recently. If this blog is the only place that you know me from, I'll catch you up. Back in March, I was in a creative lull. I enjoyed the success of PensInitiative and the relating success of the team but it gives me a different kind of happiness. I was searching for something that I've never done before, something that I was uncomfortable with, something unproven, unplanned, and not guaranteed. I started a blog called JamestownUnderGround.com with the intentions of collecting all local events and local businesses and helping them promote events with the intention of exploring more of the grimey corners of the town I've called home for over a decade now. When indexing through Twitter and trying to build a good idea of what was actually around the area and who to network with. It was at this moment I found Nameless Comedy. A little due diligence on my end to make sure I wasn't going to end up with a shaved head talking about my new Lord, Zoltan, and how I was promised a spot on a doomsday boat. They welcomed me after a shaky first rehearsal and I've been a part of their group for almost half a year now. 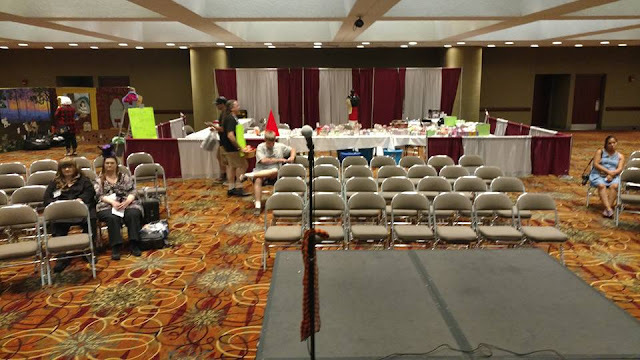 The event that we were planning for was Tatsu-Con in Buffalo NY at the end of July. I didn't quite know what the connection was with improv and anime but I was excited to perform in front of people for the first time. We were scheduled to do the opening ceremonies and read the rules but read them .... "funny"? After that it seemed like between the ever-evolving schedule and the willingness to do anything for the organizers, the event flew by. Three days and over a dozen events we were apart of was gone in a flash. 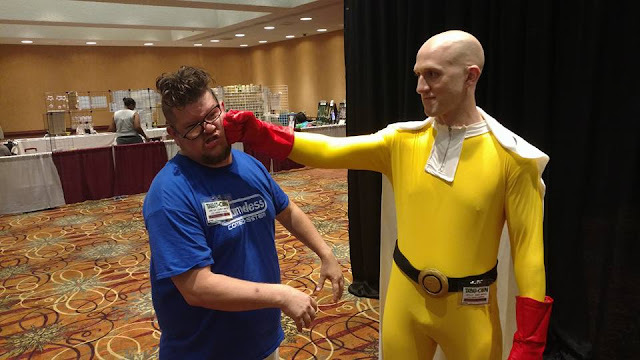 I interviewed all kinds of a amazing cosplayers, performers, and vendors. Once people started seeing me around more and the creepy dad vibe I was undoubtedly giving off the community - for which I had no previous experience with - embraced me. I desperately want to turn this blog into all the great events I was apart in. 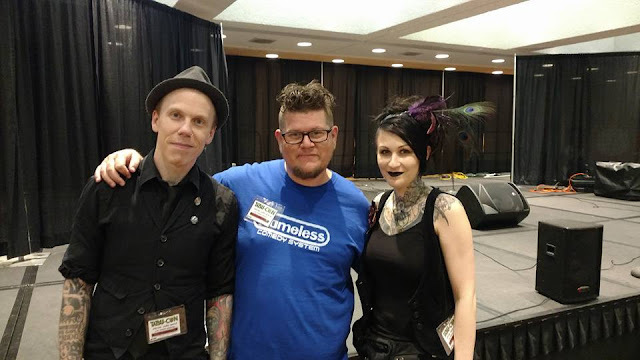 I want to detail the 18+ Cosplay Dating Game, or myself emergency hosting the Talent Show, or our amazing improv shows that killed the audience but I want to talk more about the experience of it all. I feel like I have to qualify my feelings with my experiences with the hockey writing community. The hockey writing community is very friendly but it's a very favor-for-favor based system everyone runs on. Someone's particular brand is protected at almost any cost and the hierarchy is very hesitant to look backwards. It's all very rewarding and fun but it's very similar to a part-time job. The "Con" community - to me - is a group of people enjoying what they love and the business end of it comes in second. The vendors talk and share with eachother, the cosplayers exchange trade secrets, and the performers support eachother. I know I've only sampled such a small part of the pie, but that doesn't make this particular observation true. My perception is that this hobby/lifestyle is limited to these venues only. It's not something you can usually do on the weekends or outside of these Cons. I don't feel like the social outlash of cosplaying hold many people back from doing what they want but it's just impractical. Who has time or energy going to weddings or having Halloween every weekend? The same amount and most likely more effort goes into getting into your favorite costume and enjoying a Con. The limited opportunities that someone who regularly cosplays gets makes these events special. The unlimited hours and innovation it takes to create these costumes inspires such a joyous release at these events exuding it to someone on the outside like myself. Everyone was so accommodating, kind, and willing to teach me about their passion. Outside of Dragon Ball Z and One Punch Man I knew nothing of this creative collective. It never mattered. I approached everyone and asked alot of questions and I may not have understood alot of the answers but the absolute happiness in sharing it was contagious. When I wasn't directly involved with an event or interview I watched how people interacted. It was display after wonderful display of kind interaction. Costumed packs of people gathered in corners took pictures of each other and whether they were new friends or old acquaintances the conversations were laced with compliments and encouragement. After the event was over the limited (but positive) interactions resulted in a packed Facebook mentions with friend requests. I was so appreciative that I was "accepted" socially into this community. Keep in mind I'm not a cosplayer, I don't watch anime, and I was a stranger to this entire community and the people I met wanted to show me more. 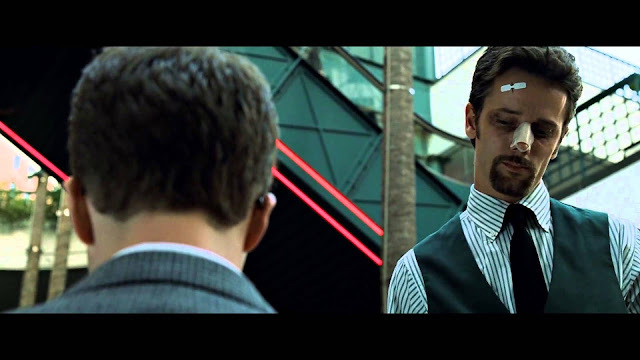 I can liken this to my favorite movie Fight Club. Once the event is over you go back to your regular job, in your regular home, with your regular routine but the Con sticks with you. You share your inner desires with a ballroom full of people and it bonds you. You see someone who was dressed as a dinosaur one day and they are taking your deposit slip at the bank, the troll you met the cafeteria is filling your prescription at the pharmacy and although no one is ashamed you give them a nod and a smile. It's like an insider's access to someone's heart and it's only reserved for the people curious enough to care. You were Princess Mononoke last weekend? Rad.